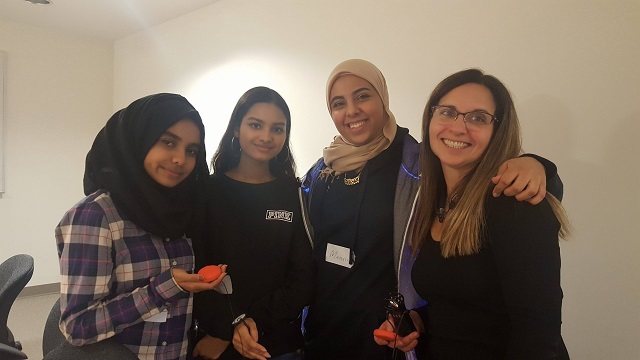 Two dozen Danforth students attended the Halloween Installation event hosted by Ryerson University on Saturday, September 29. They had a great time at the event and attending three more Saturday sessions to complete a huge Halloween display of human figures which will be placed outside. The transparent bodies will be lit by lights that we will program. The day was separated into two parts: rendering and casting. Rendering involved taking pictures of in front of a "green screen" and editing the photos using Adobe Photoshop to create an image of what the figures will look like at night. The renderings allowed us to visualize and represent the ideas we were proposing for the project. 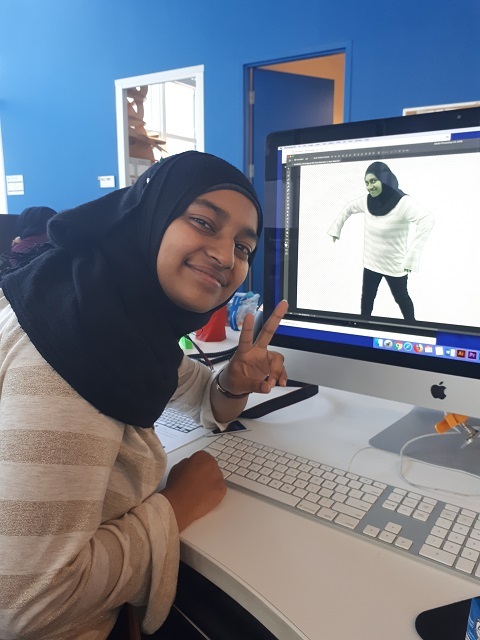 This activity introduced some basic photo editing skills such as creating layer masks, using green screens, synthesizing textures in photos, etc. The second part involved casting to create the piece. 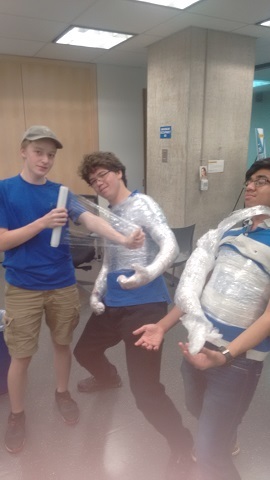 The students wrapped one another in plastic wrap and covered it with tape to solidify the cast. The Danforth students were mentored by students from Ryerson University who taught us what we needed to know for Photoshop. They were also able to tell us about Ryerson, the programs and university life. 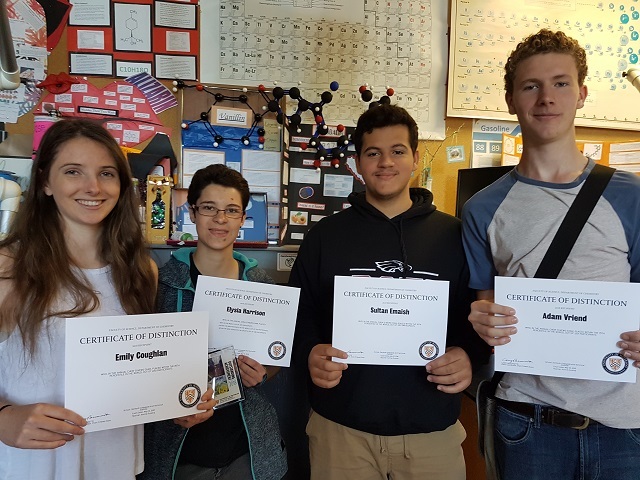 Danforth students experienced another successful year on this year's Avogadro Chemistry competition. 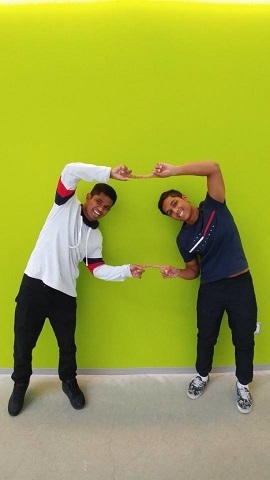 Congratulations to Jack L. for receiving an elemental tile for his score within the 92nd percentile and to Varun P. for scoring within the 84th percentile. 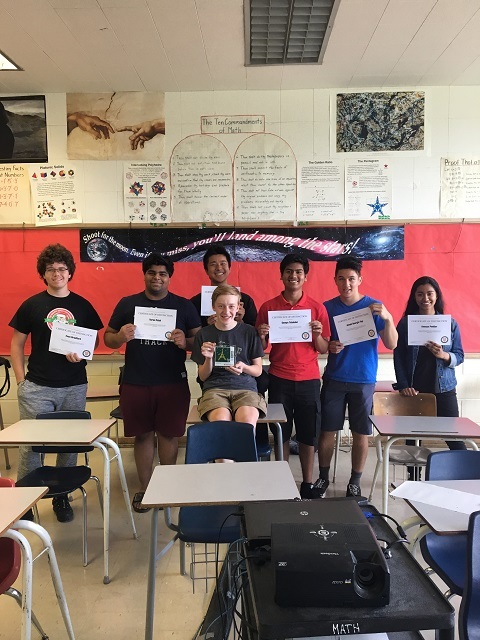 Honorable mention goes out to 5 more of our Danforth students; Evan B., Samya T., Jonah G-Y, Thomas L., and Ananya P. for scoring within the top 25th percentile. 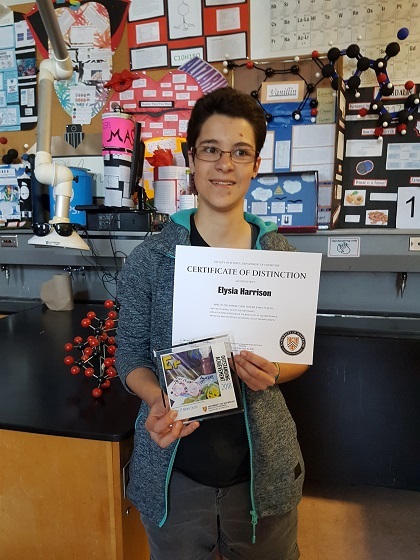 Congratulations are in order for Elysia who scored in the 93rd percentile on the Chem 13 chemistry competition and for Emily who scored in the 85th percentile. Danforth had a stacked team for the competition this year. As a school we finished 12% higher than the Canadian average. Below are the four anchors of the team (Emily, Elysia, Sultan and Adam). These four scored in the top 25th percentile. Well done Danforth! 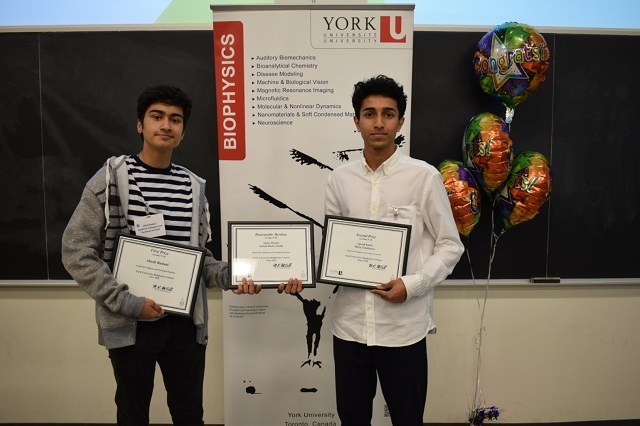 The award ceremony for the York University High School Biophysics contest was held on Friday June 15th at the Life Science Building at York. Danforth knew going in that we had some students in the top 5, but what we didn't know was that we took first and second place along with an honorable mention. Pictured below are Abiali B. (first place) and Ajwad K. (second place) with their certificates. 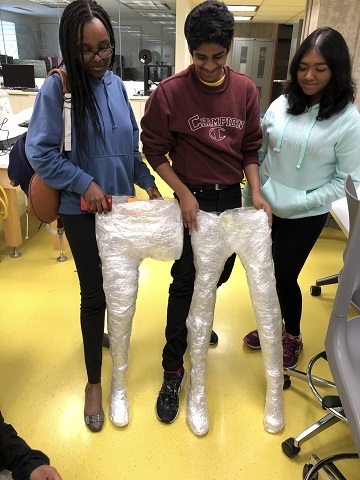 Missing are Maya T. (second place with Ajwad) and Saskia R-S. and Annie D. (honorable mention). After the award ceremony the students got a tour of some of the facilities at York including the observatory and the antimatter lab. 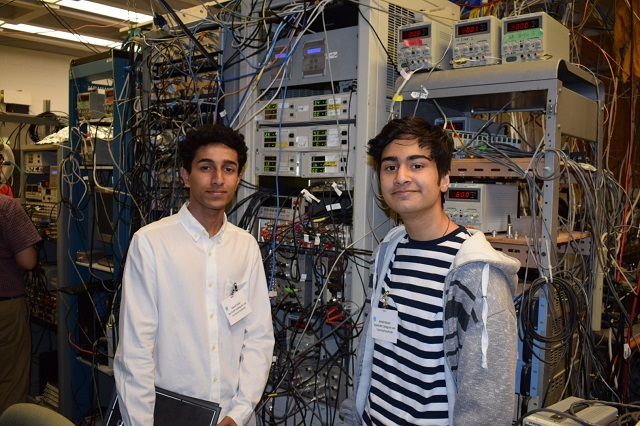 Pictured below are Ajwad and Abiali in the lab. Danforth is now 2 for 2 in this competition and we are looking forward to the next installment in two years time (unfortunately York does not have enough funds to run the competition annually). Well done! Students the grade nine MaST drama class attended a performance of "My Name is Asher Lev" adapted by Aaron Posner from the novel by Chaim Potok. The class additionally participated in three workshop sessions facilitated by two wonderful artist-educators from Studio 180, focusing on themes from the play: family, tradition, culture, faith, honesty and the search for identity. 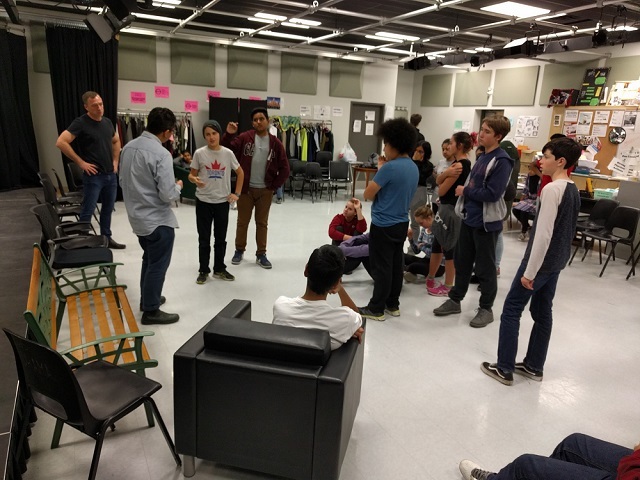 During the workshops, in addition to a number of lively discussions, the student actors were challenged to take a stand on a continuum of ideas, respond in character, and role play to justify a variety of different viewpoints. Using the techniques of improvisation, hot seating, tableaux and mime, participants explored realistic and abstract expressions of the themes and concepts in the play. At the end of the sessions, the guest artists praised all of the students for their collectively strong active participation and collaboration, their willingness to take risks onstage and for the level of commitment and care paid to each activity they undertook. MaST Drama students your efforts continue to make DCTI proud! Displays Inc. and a Senior Visiting Research fellow at Kings College London UK. The YOUth Conference, organized by the WISE (women in science and engineering) group was a really beneficial event. What I found to be the most useful to me was the panel with the undergraduate students who advised that "life is not a spectator sport", we must get involved. They encouraged us to definitely talk to our professors and search for lab opportunities, to not be picky at first about which labs we get, but to just gain transferrable skills, which we can apply later on. (I will definitely look into that now during my time at university.) Their advice was very practical and applicable. The professors were also very inspiring. The astrophysics one (Renee Hlozek) was my favorite, not only advocating about the STEM fields, but also empowering women, to challenge and change the current system of mostly male-dominant scientists. 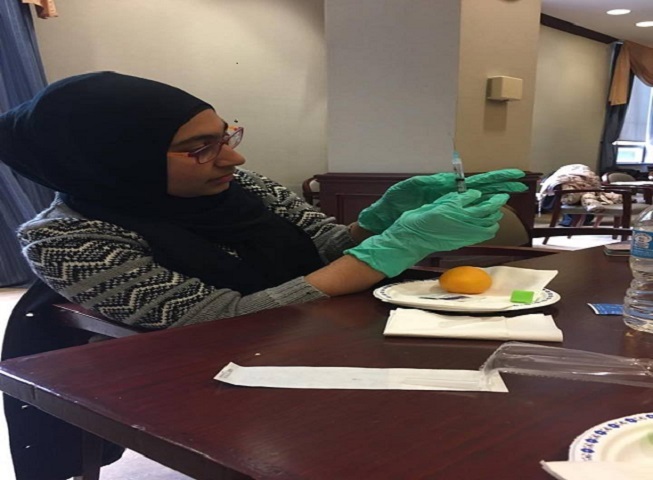 During the Pre-Medical Society workshop, we learned about injections and even got the chance to practice on our own (just on tangerines of course), but it was a lot of fun! I would definitely encourage the students next year to attend. On Wed/ October 18 at lunch, students and teachers were invited to room A76 to view and vote for their favorite roller coasters built by the Grade 12 Engineering Design class. There were nine different roller coasters and the winning coasters - popularity and technical merit - were Wario and Crime Scene which feature loops, funnels, switchbacks within great themes. Wario was built by Evan, Maisha and Sam P. and Crime scene was built by Jack and Susheen. The video was made by Maria and Farhan.